This page is designed to serve mobile phones and other wireless devices. If you come to this page from a mobile device, you will see a simple, fast meeting search. 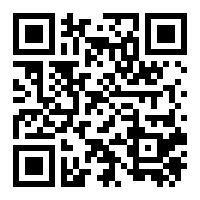 If you have a mobile device that is capable of scanning QR codes (the image to the left), then scanning the code will immediately take you to our mobile meeting search (This page).